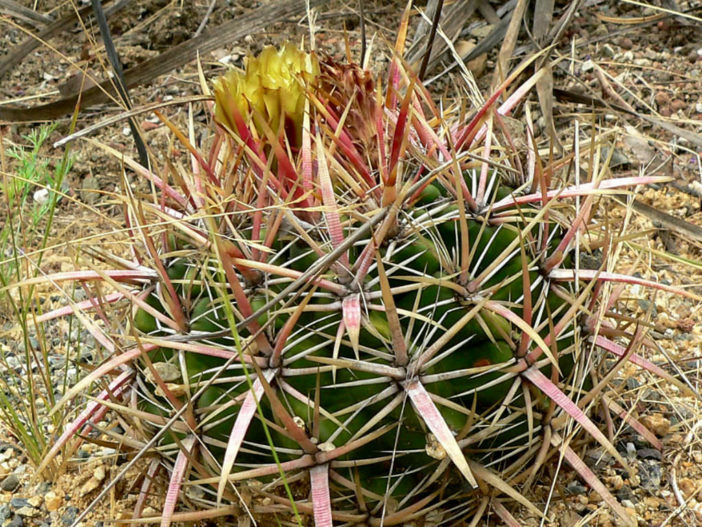 Ferocactus viridescens is spherical, oblate, or nearly cylindrical, is usually wider than tall, and less than 12 inches (30 cm) in height. The flesh is bright green and arranged into several ribs covered in arrays of long spines. The spines stick straight out and may curve a bit, and are red when new, dulling to gray or tan. 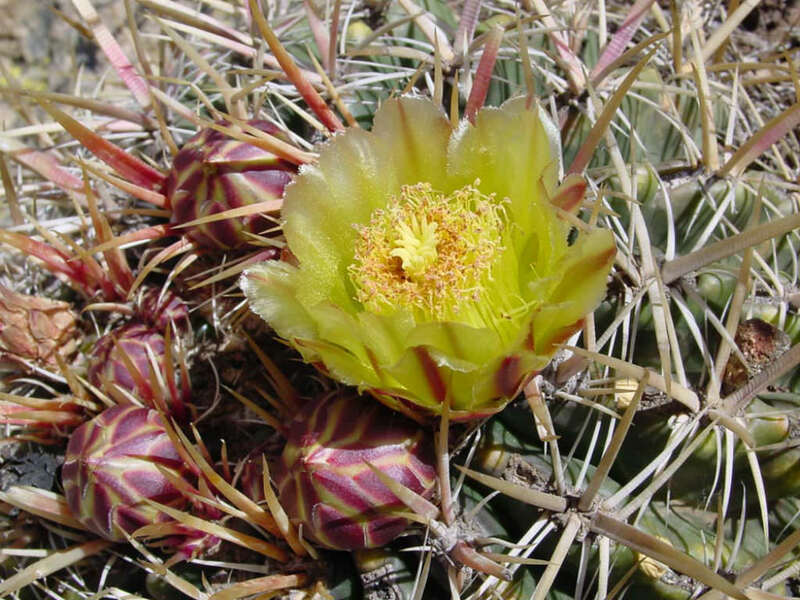 The cactus blooms in yellow to greenish flowers with red or pink scales. The fruit is yellow or red. Choose a planting location that receives direct sun during all or most of the day. Water the cactus at the time of planting to anchor it into the soil. 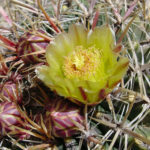 Plant your Barrel Cactus in early spring before new roots begin to form in late June and early July. The roots may appear dry, but that is typical before new growth begins. Dig a hole deep enough for the plant’s roots and amend it as needed to provide fast-draining soil. A good soil mixture includes 10 percent native soil, 45 percent washed sand or pumice and 45 percent compost. Ferocactus thrives in poor and arid soil. 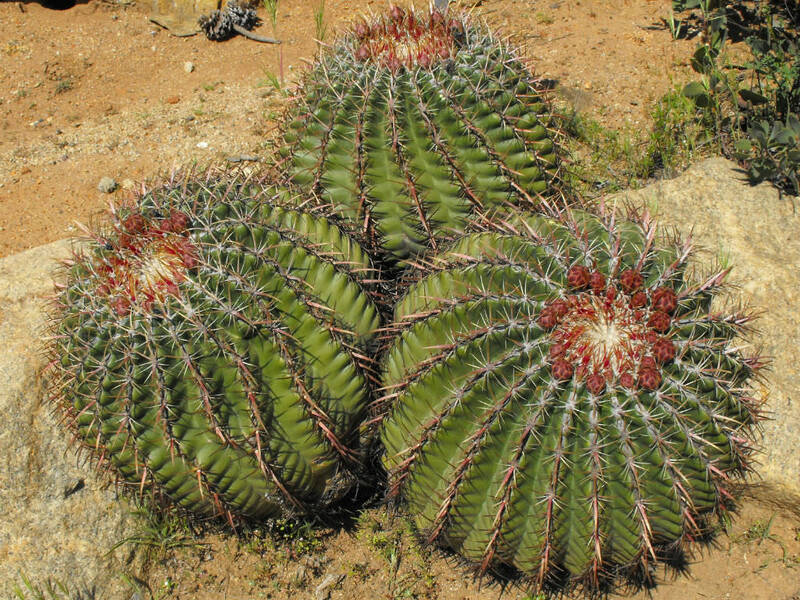 Water the cactus at the time of planting to anchor it into the soil. 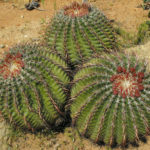 Water again only if the weather in your area is unseasonably dry and if normal spring or winter rainfall doesn’t occur.. – See more at: How to Grow and Care for Ferocactus. Native to southern United States (California) and Mexico (northern Baja California).